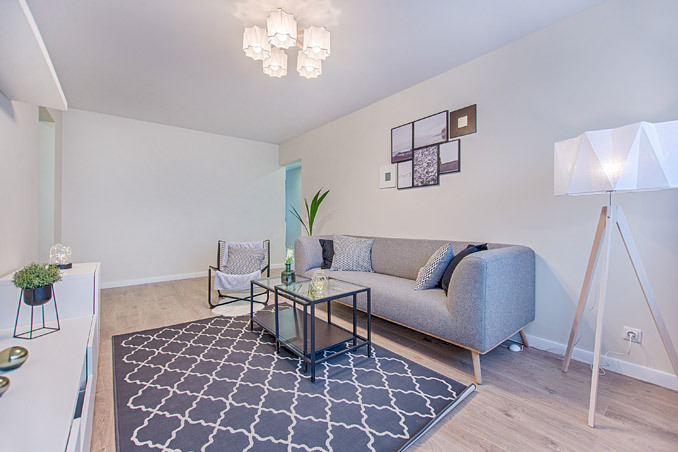 While collating photos for this special feature, we noticed something interesting—the sizes of our featured homes have become smaller over the years. 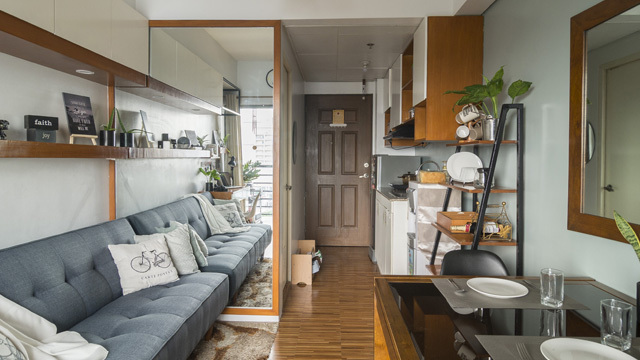 From choosing to build sprawling properties with lush gardens, many homeowners have explored the possibilities of living in apartments, townhouses, and compact condo units. While there’s a huge difference in terms of floor area, one thing remains the same—the spaces are still stylish, comfortable, and well-thought-out. 1. Tap into the past and make a statement. With the on-going restoration of the Manila Metropolitan Theater, many have shown interest in the Art Deco style, a design movement that highlights lines, stylized forms, and interesting patterns. 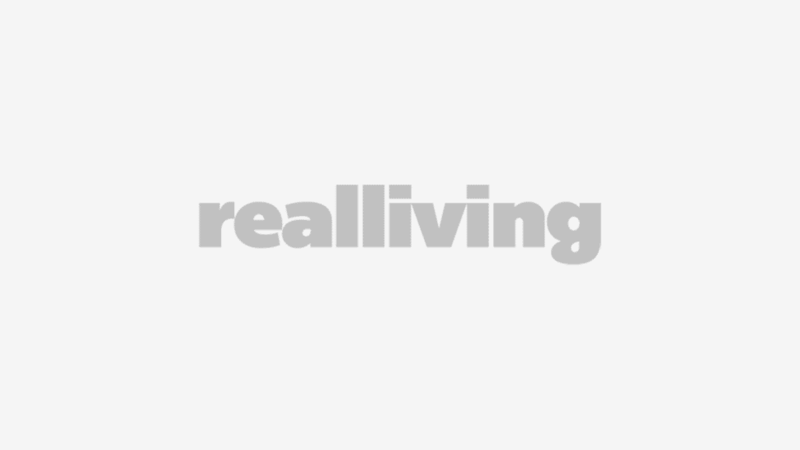 In 2006, Real Living featured a striking condo unit that takes inspiration from The Met. The one-bedroom condo pays tribute to the past with its captivating wrought iron divider and spires on the bookshelves that are reminiscent of the famous theater’s design details. 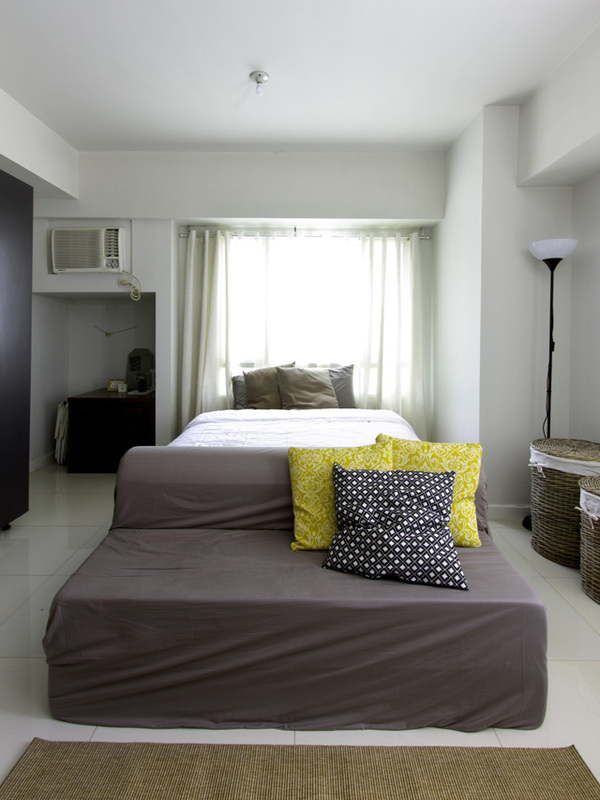 The divider designed by Obet Marquez separates the bedroom from the rest of the unit and highlights beautiful lines. 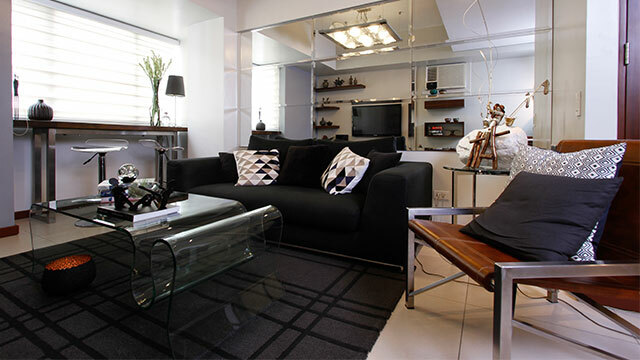 Aside from the Art Deco-inspired accessories and furniture pieces, the unit is also home to prized works of art by artists like Jecky Alano and Anita Magsaysay-Ho. 2. When decorating, showcase your hobbies and lifestyle. 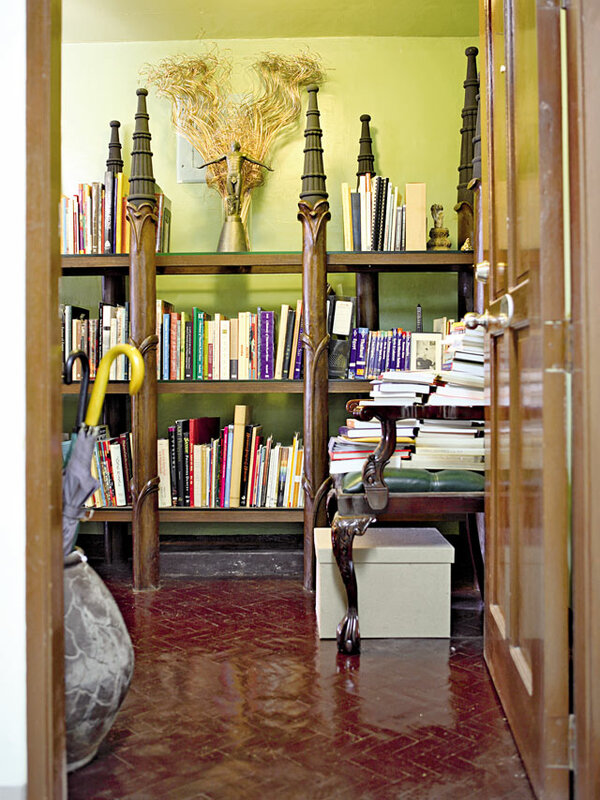 What can you see inside a writer’s condo unit? We’re guessing books, pretty shelves, and a place ideal for writing. In this 30sqm unit, we got a perfect score. 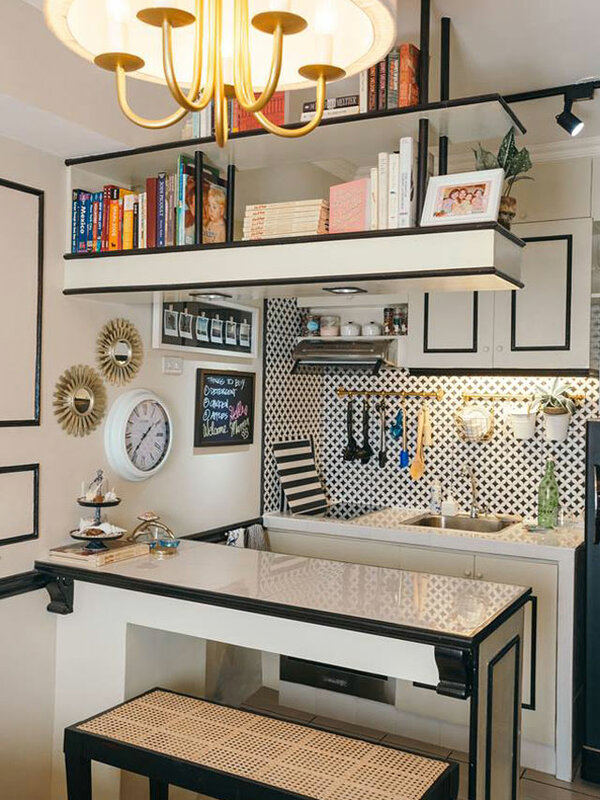 With the help of interior designer Wilmer Lopez, the owner transformed the unit into a quirky space filled with recycled finds and has enough space for entertaining friends, too. 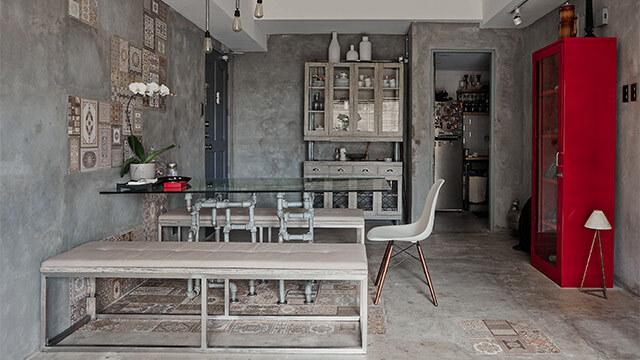 The dining area has hints of the industrial style with the gray accent wall. Surrounding the solid narra table from Bangkal Street are colorful, mismatched chairs reupholstered with new fabric like the metal folding chairs, a solihiya chair, and a Wishbone chair. 3. Personalize with DIY details. 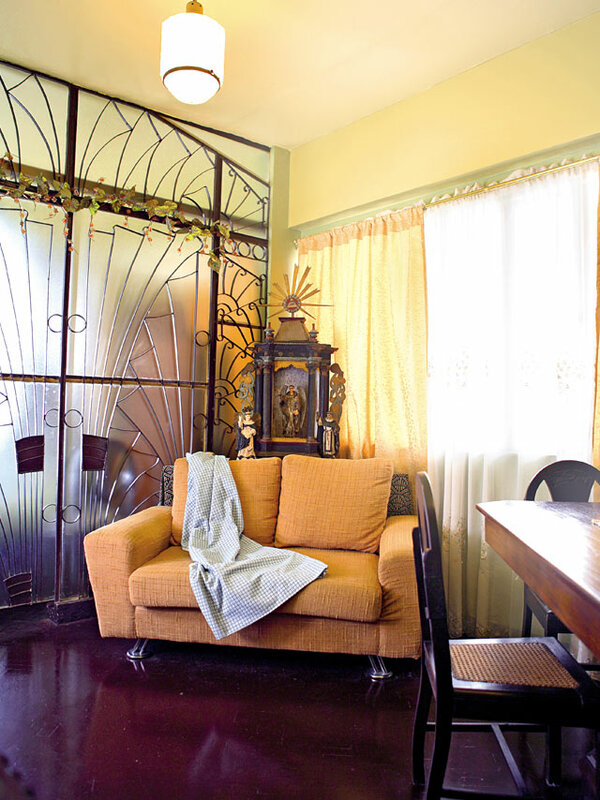 It’s safe to say that homeowner Bien Po is one of our inventive homeowners. 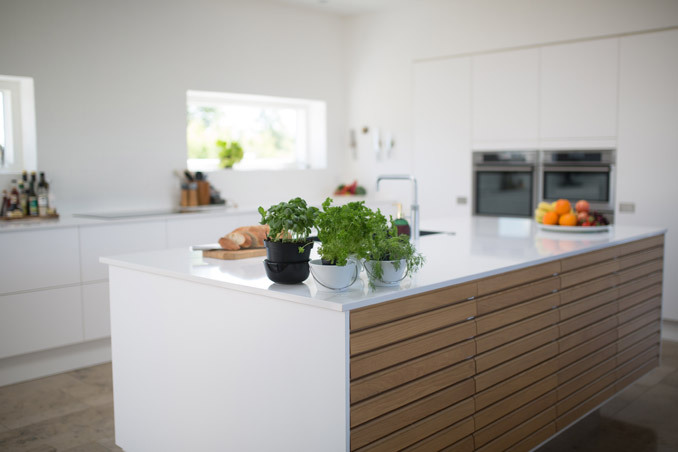 His home is a personal project that’s in a constant state of improvement. You’ll always see pieces he created on his own and details that speak of his personality. This 46.5 DIY haven takes inspiration from a boat since he got so used to living in a limited space. The unit has a DIY studio and a workstation where he can delve into his hobbies. 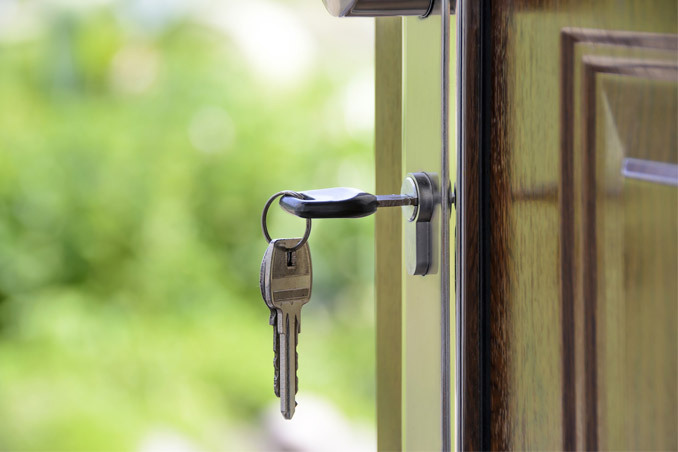 Each area is carefully measured, allowing the owner to get what he needs in just a few steps. Upcycled essentials, quirky décor, and unexpected finds add character to Bien’s personal space. 4. Don’t be afraid to experiment with different styles. 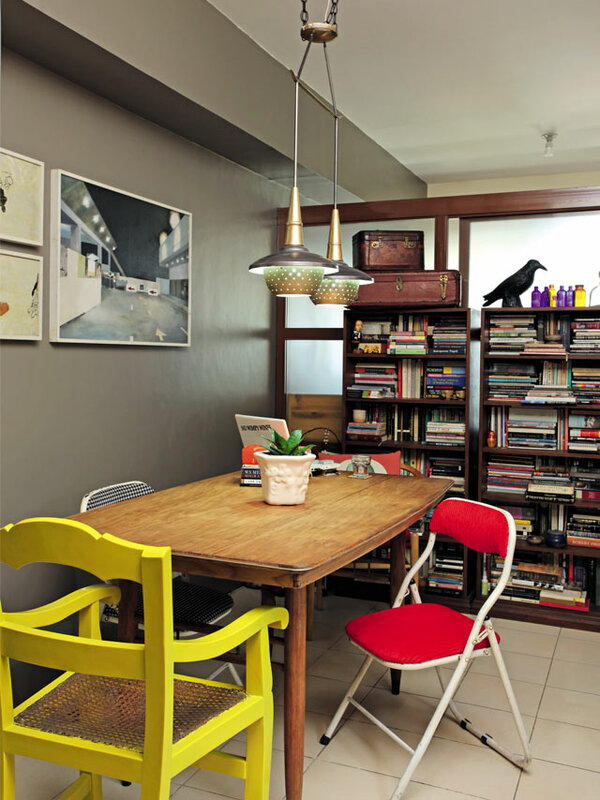 Concrete walls, a calming Zen vibe, and a lovely mix of patterns welcome guests into decorator and former Real Living creative director Gwyn Guanzon’s 88sqm condo unit. The space has an exotic Brutalist style that highlights concrete finishes and exotic accessories from places like Kabul, Kashmir, and Jaipur, to name a few. The overall look is a break from the tropical and modern eclectic themes seen in his former homes. The dining area is a feast for the eyes with ceramic tiles with myriad Persian rug patterns serving as accents. Meanwhile, the living area is perfect for quiet weekend afternoons. It’s a delight to sink into the sofa and it’s hard not to be captivated by the cardboard Frank Gehry Wiggle chair seen in the corner. 5. You can design your unit on your own. Working with a design professional is a worthy investment, but choosing to work on your unit independently is an adventure on its own. 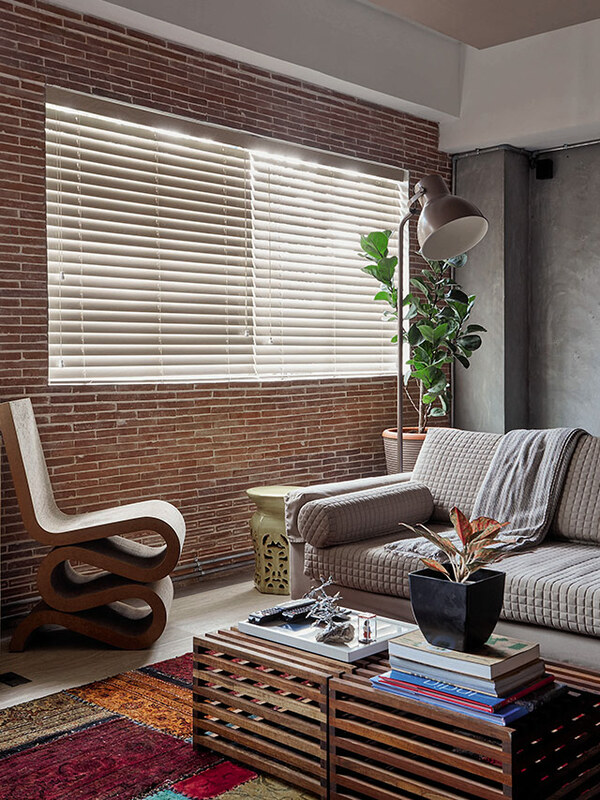 The owners of this compact rustic-industrial condo chose the DIY route and worked with red brick walls, rustic wooden planks, and industrial pipes to bring their vision to life. 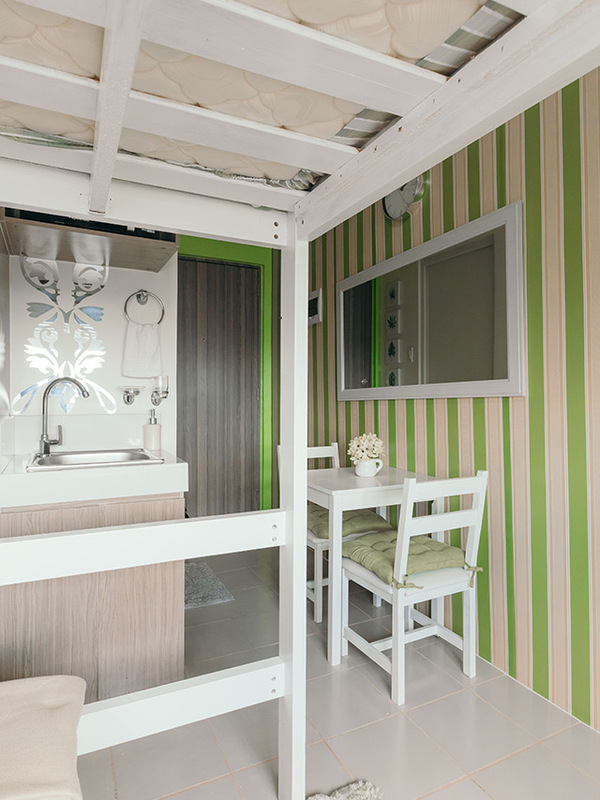 While the space measures only 32sqm, it doesn’t look cramped at all. 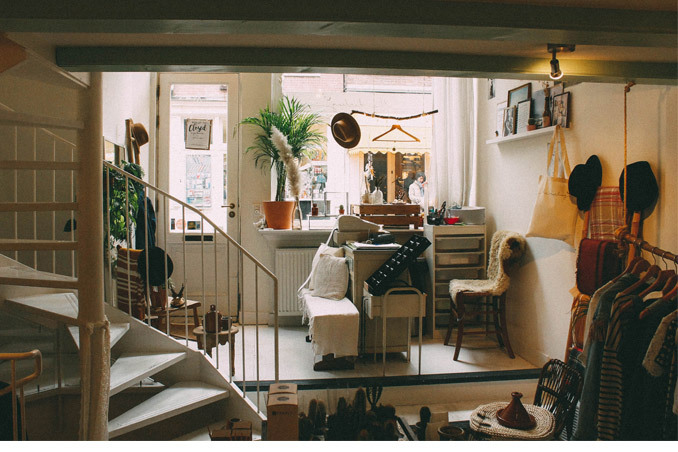 The overall vibe is airy yet cozy, like you can spend hours reading or sleeping soundly. Sheer white curtains separate the sleeping area from the common areas, while a Pinterest-worthy open cabinet with metal pipes and wooden planks amplify the theme. A must-see in the unit? The Chesterfield sofa with burlap fabric—talk about owning the style! 6. Mix the old with the new. 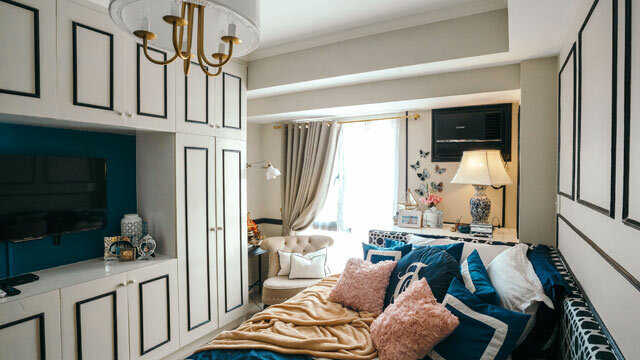 In this 22sqm unit designed by TKSL Interior Design, traditional meets contemporary as customized pieces take up most of the space. 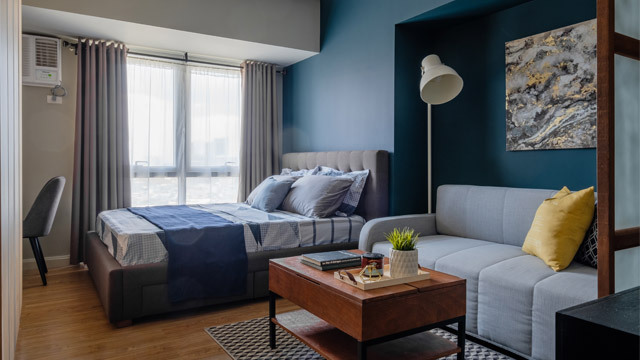 Moody colors, chic lighting pieces, and posh furnishings give the unit an old world feel, while topnotch appliances and accent furniture give it a modern oomph. 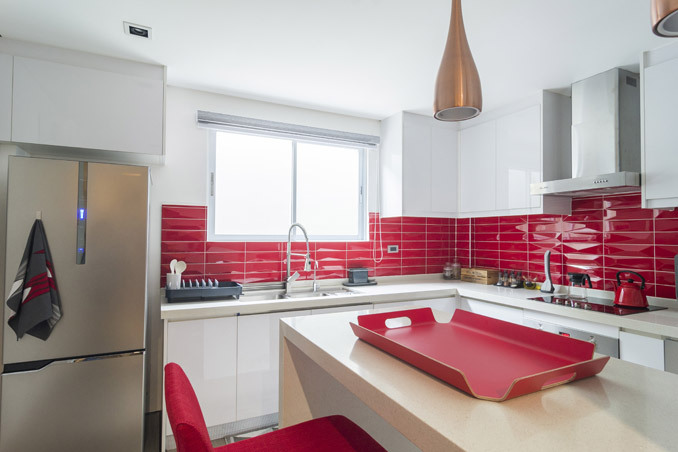 We especially love the kitchen in this unit—though it’s compact, you can prep meals efficiently given the extra island that also serves as the dining nook. To keep up with the old meets new theme, the tiled countertop is paired with a customized bench seating with a classic solihiya pattern. 7. You can use wood in small spaces. 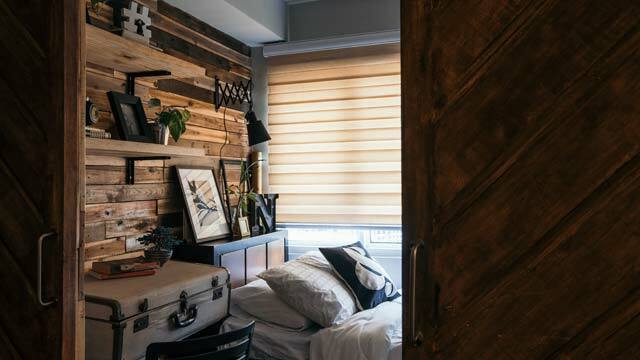 Who knew you can use wood heavily in small spaces? 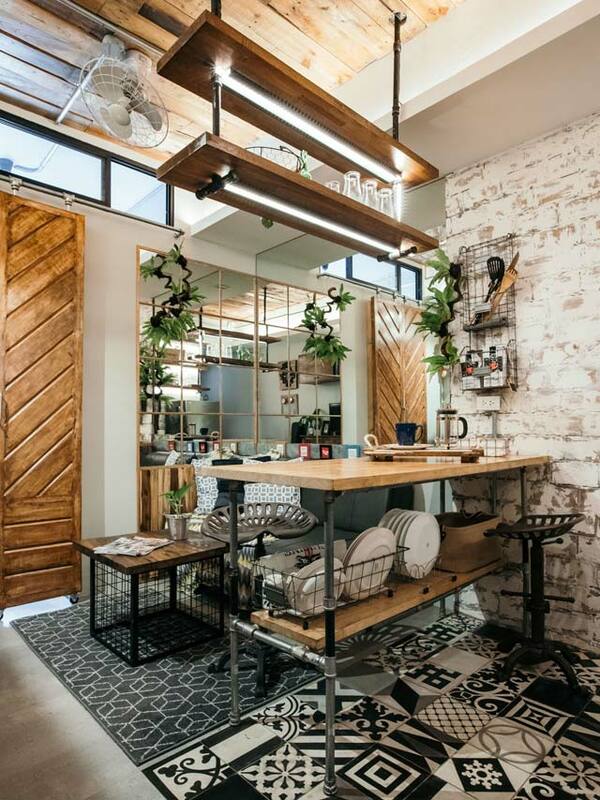 In this coffee shop-inspired compact haven, the cozy and cocoon-like vibe of the unit is completed with wood, wooden pallets, mortar-smeared bricks, and Machuca tiles, to name a few. 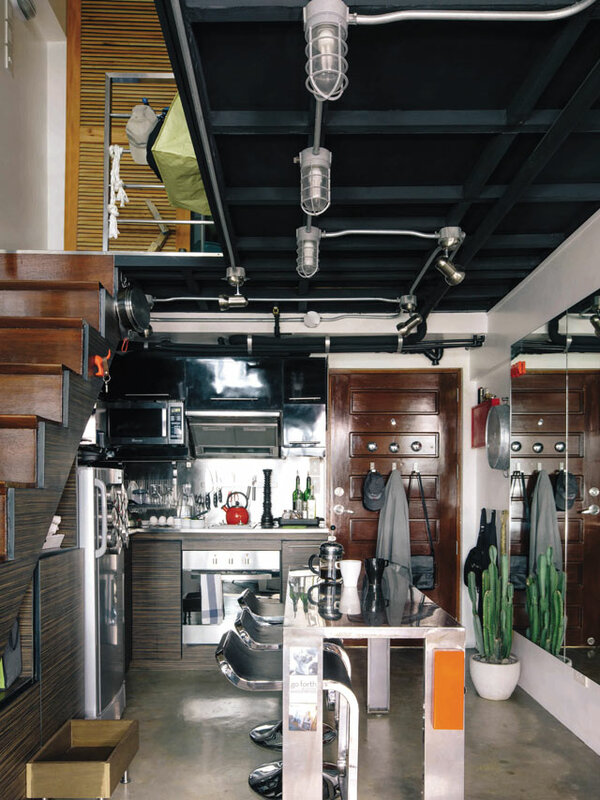 Designed by interior designers Pam Laserna and Joan Reyes of LAHUBRE Designs, the rustic-industrial condo showcases the many ways one can work with wood—incorporated as furniture, as shelves, as sliding door, and as accents. Even if it’s compact, the owner can still invite friends over for a casual get-together and sleepovers. 8. Achieve the minimalist style with neutral colors and basic pieces. 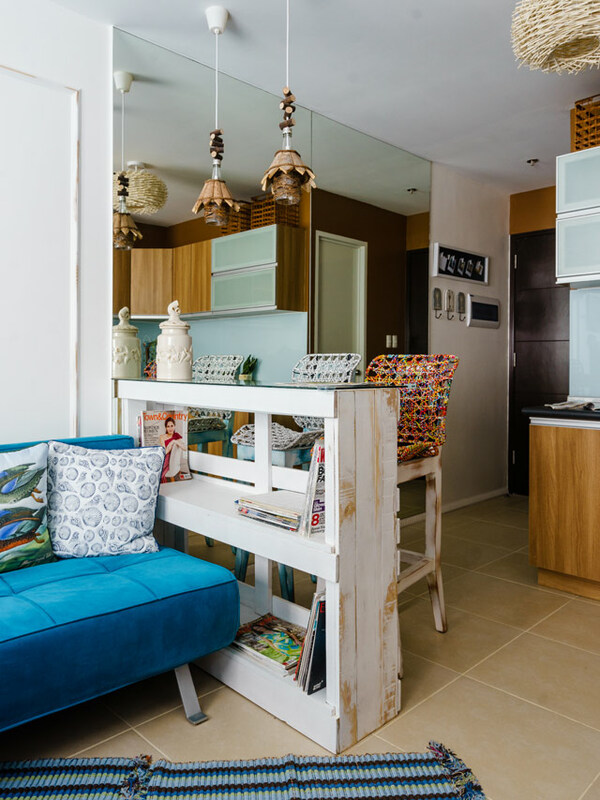 To make this condo unit appealing to possible renters, interior designer Tala Singson worked with natural finishes, a neutral color scheme, and open layout to keep the vibe airy and spacious. 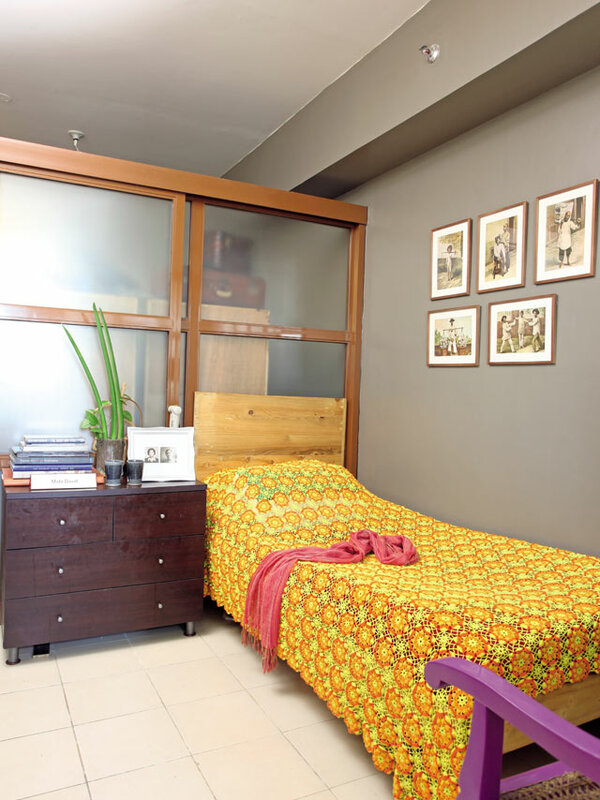 The 36sqm space is now homey and relaxing, with subdued colors adding to the calmness of the unit. 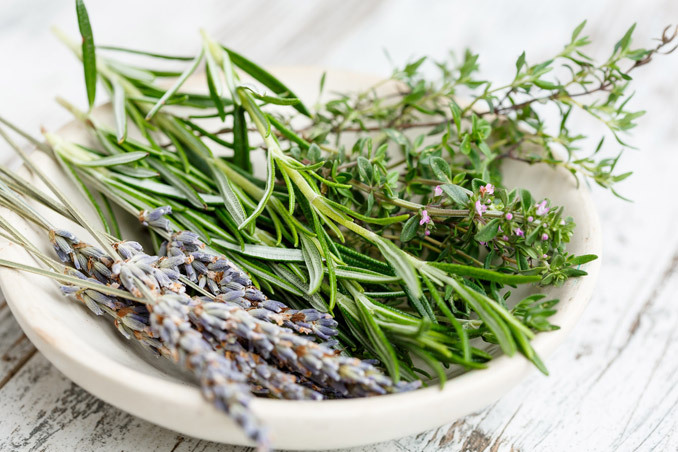 In a small space, it’s a must to invest in essentials that can help you live comfortably. A dining set for two lets you add a charming country touch to the space while having a bed and a sofa lets you enjoy sleeping and watching TV perfectly. 9. Recycle, upcycle, and source for the right pieces. 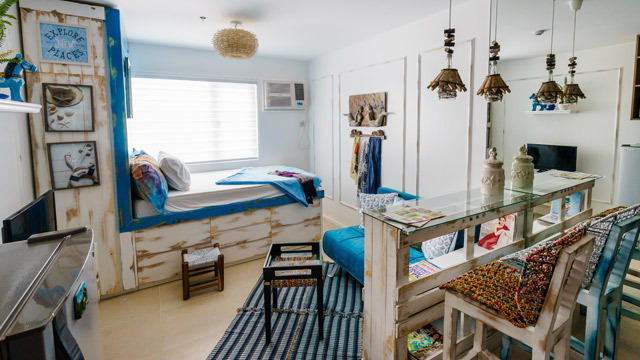 Eco-friendly materials, handmade must-haves, and the beauty of recycling take center stage in this unit designed by interior designer Willie Garcia. This home proves you don’t always have to shop for the most expensive chair or table to be able to complete your home! Pieces from JunkNot Eco Creatives, a social enterprise that champions furniture made using plastic waste and upcycled materials. The unit will remind you of the beach, with its white walls, blue accents, and mostly wooden pieces. A wooden pallet was turned into a dining nook/storage piece in one to save on space. 10. 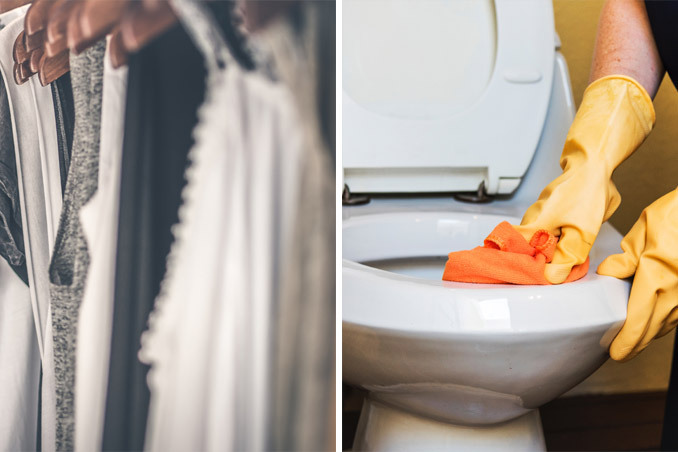 It’s possible to give the unit a makeover with a limited budget. 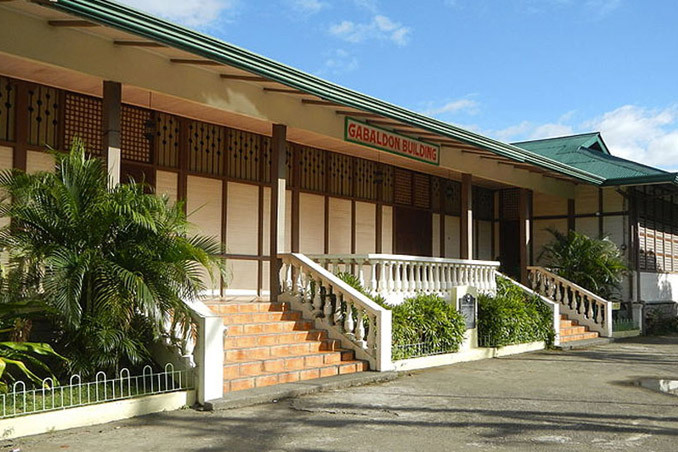 A P76,000 budget for a makeover? It’s possible and the results will surely inspire you. 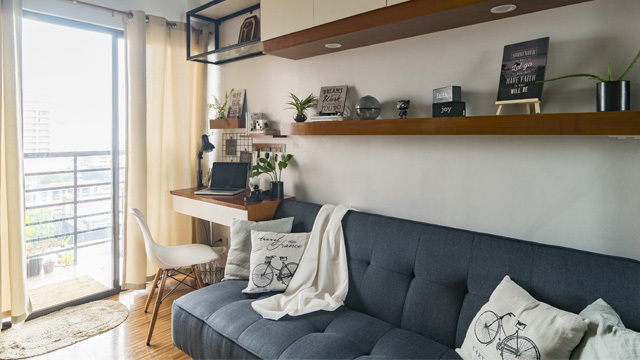 To meet a thesis requirement, a student from the University of the East decided to give his brother’s condo unit a new look. Armed with a vision and determination to see the project through, he patiently sourced and shopped at Quezon City Circle and Dangwa, to name a few. The finished look is organized and inviting, with enough storage options to keep clutter at bay. 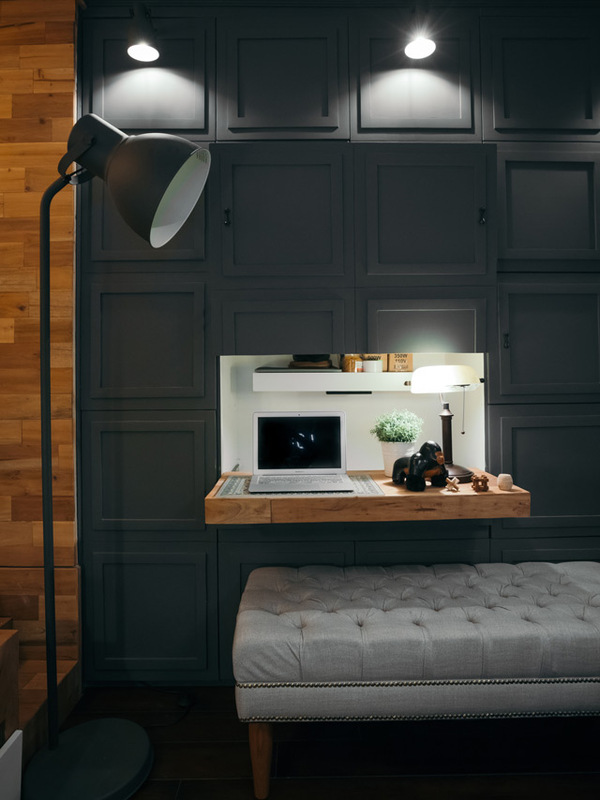 Employing tried-and-tested small space solutions like adding mirrors and opting for multipurpose pieces, he was able to squeeze in a work area, too. 11. Showcase prized works of art. When sprucing up a small home, you don’t have to settle for framed prints and wall accents. 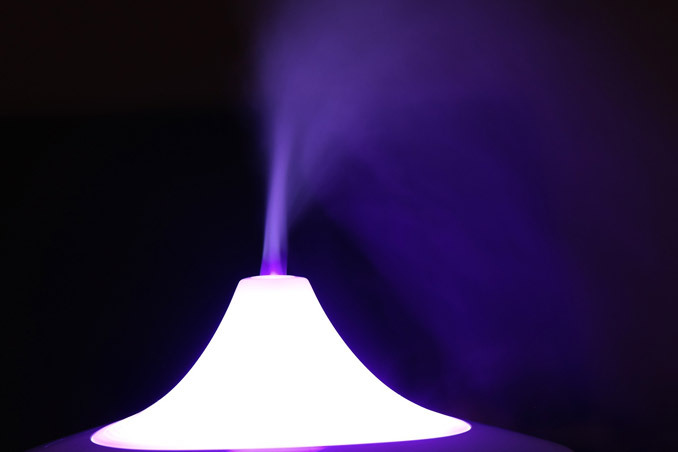 While these can add color to the space, nothing beats stunning paintings, sculptures, and rare art pieces. Architect Angelo Siochi designed this unit years ago, but it still looks brand-new. 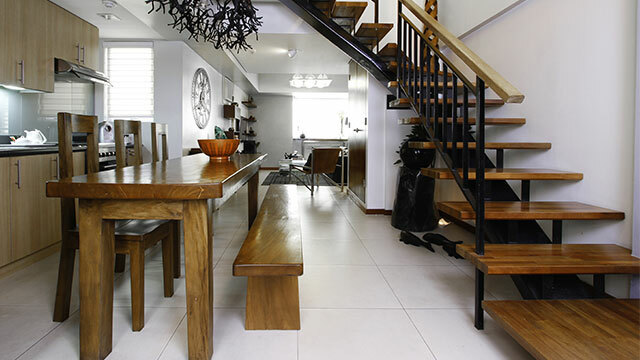 The timeless aesthetic is punctuated with masterpieces by Ramon Orlina and Daniel dela Cruz. In the living area, instead of placing one huge mirror, Angelo decided to work with beveled mirrors—these keep the look from being boring as well. We’ve said it before, we’ll say it again—size doesn’t matter when it comes to achieving a comfy and functional home. 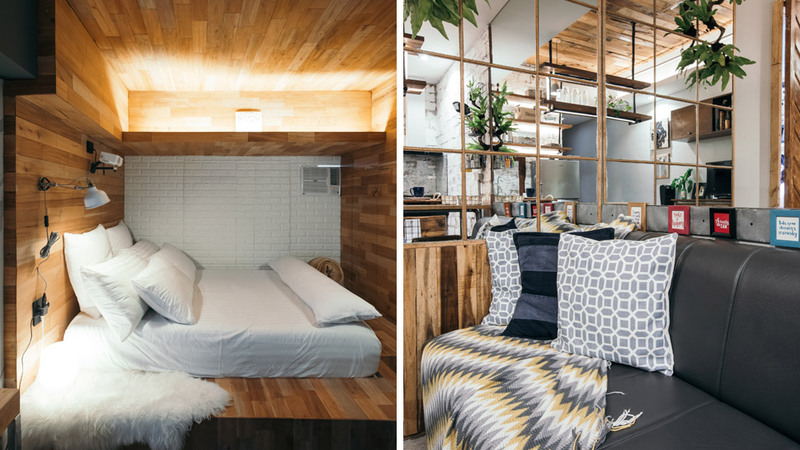 This 13sqm unit in Mandaluyong proves that it’s possible to sleep, eat, dine, and cook in a teeny-tiny space. The secret? Making a few bold choices and picking the right furniture. 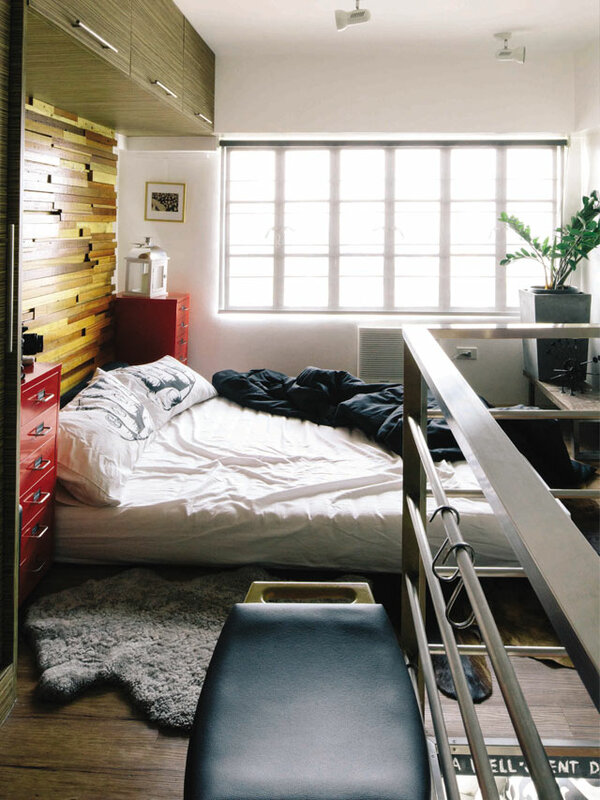 The owner, who also designed this unit on his own, opted to add a loft-type bed to give occupants the luxury of a living area and a sleeping area. Touches of green and delightful prints add to its tropical-inspired appeal. You’ll be transported into a whole new place the moment you step inside this unit designed by Bash Batara and Jolo Francisco. Neutral colors and the beauty of wood seem to invite you to take a break and enjoy a deep slumber in the sleeping area that’s reminiscent of a cocoon. The designers got creative with mahogany wood and created a platform bed that’s like a pod where the owner can retreat to after a long day. Another creative surprise? This isn’t just another accent wall—it’s a storage center that reveals a work desk, a closet, and a pantry. 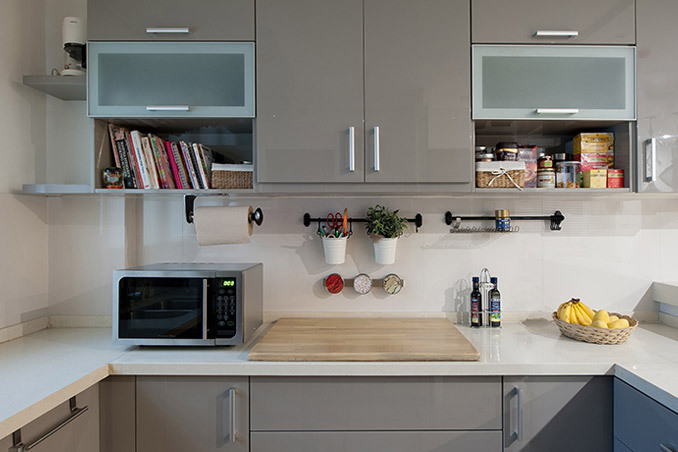 Nifty storage solutions like this can help maintain the streamlined look of the unit. 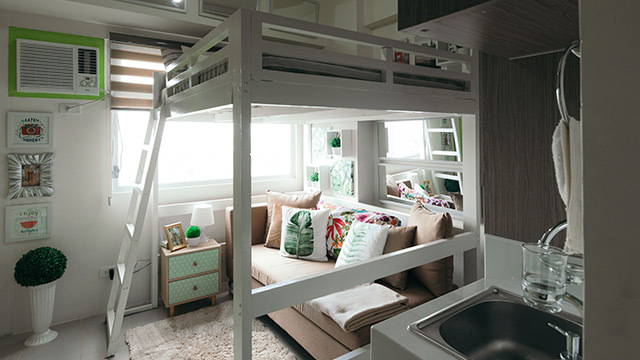 Taking inspiration from capsule hotels found in Japan, designers Misty Floro and Pai Edles of Morfosis turned this 40sqm unit into a comfort capsule for two siblings studying Medicine. 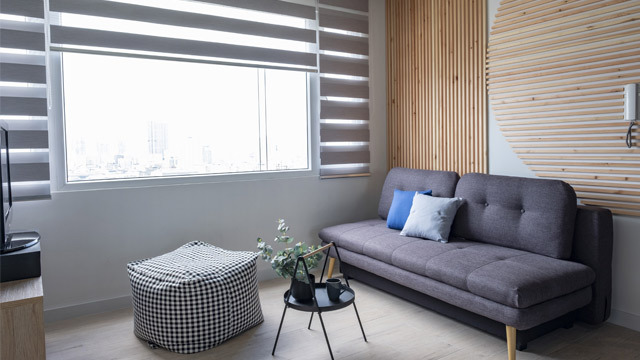 The living area is enough to make you stop, stare, and stay in the unit—Birch wood slats liven up the wall behind the sofa, adding to the homey, minimalist appeal of the space. 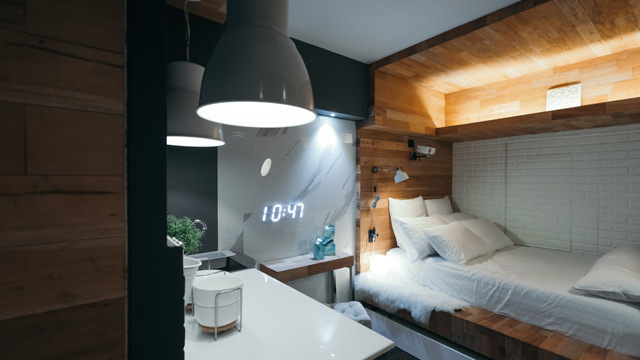 The sleeping area is a favorite as it shows how you can create two separate sleeping nooks within a small space—two single beds are placed along one wall with a divider composed of birch wood boards in between them. This allows the siblings to have privacy while maintaining the openness of the unit. 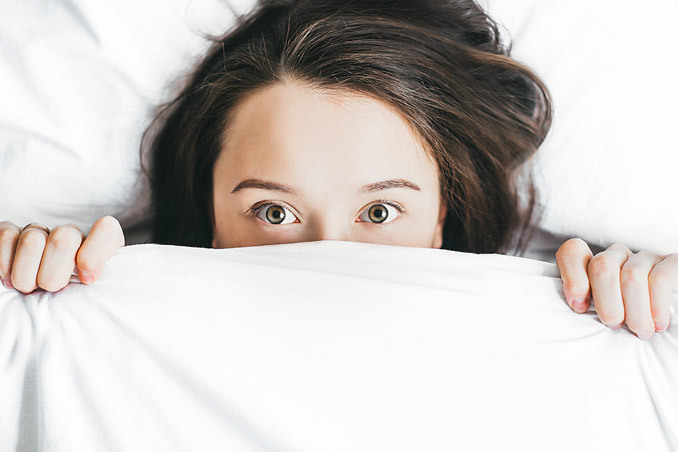 Sticking to the rules is good, but there are instances when you need to break them—especially if it means you’ll have a unique and functional haven. 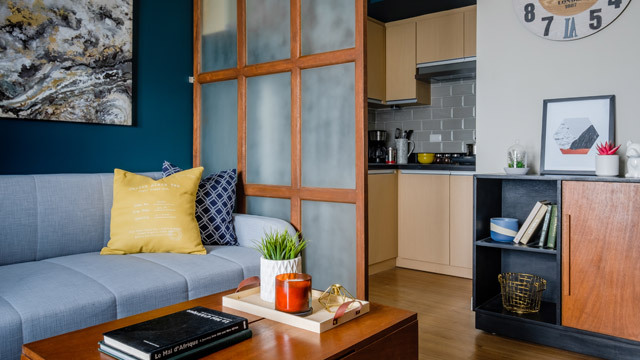 To achieve the bachelor’s pad feel that’s homey and hotel-like the owner wanted, interior designer Nicca Sarmiento worked on a urban modern concept defined by a bold and daring color scheme, a move that’s not too common in small spaces. A dark teal accent wall defines living and sleeping areas, breaking the monotony of the dominant neutral colors. Aside from dark teal, many homeowners have also taken the plunge by experimenting with black and dark gray to complete tiny units.